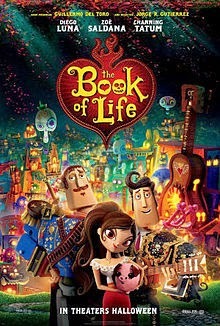 The Book of Life is an upcoming American 3D computer-animated adventure comedy film produced by Reel FX Creative Studios and distributed by 20th Century Fox. Co-written and directed by Jorge Gutierrez, the film stars the voices of Diego Luna, Zoe Saldana, Channing Tatum, and Christina Applegate. It is scheduled to be theatrically released on October 17, 2014.